There's a new tour in Philly and it takes place on land and water. On July 27, and on several other dates this summer, the River Reimagined tour will take guests through Fairmount Water Works and then onto The Patriot, a reproduction of a classic 1920’s commuter "picnic" yacht. Fairmount Water Works is a National Historic Landmark and one of Philadelphia's first tourist attractions. 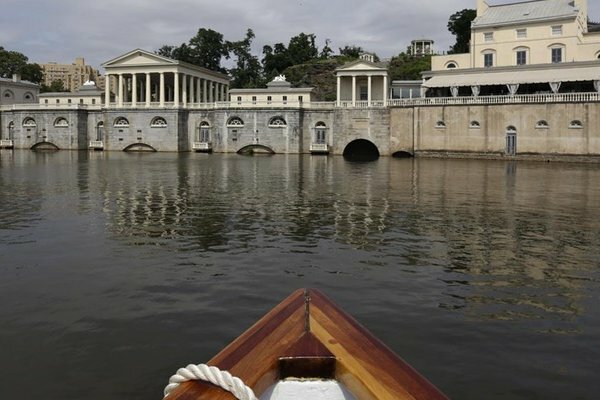 The tour will explore the Palladian-style buildings and the South Garden at the Water Works, along with the scenic Schuylkill River Trail on the way to the Walnut Street Dock. On the water, the boat will sail past the historic Woodlands Cemetery and through Gray's Ferry Crescent. Tickets, which are $22 per person, must be purchased in advance. Space is limited. Public parking is available near the Fairmount Water Works.